As far as meat goes I consider the good old fashioned pig to be the king of beasts and would rather order or cook a great pork dish over any other meat! I am always on the hunt for new stew recipes at this time of year. This braised pork stew from South East Asia is my latest discovery. 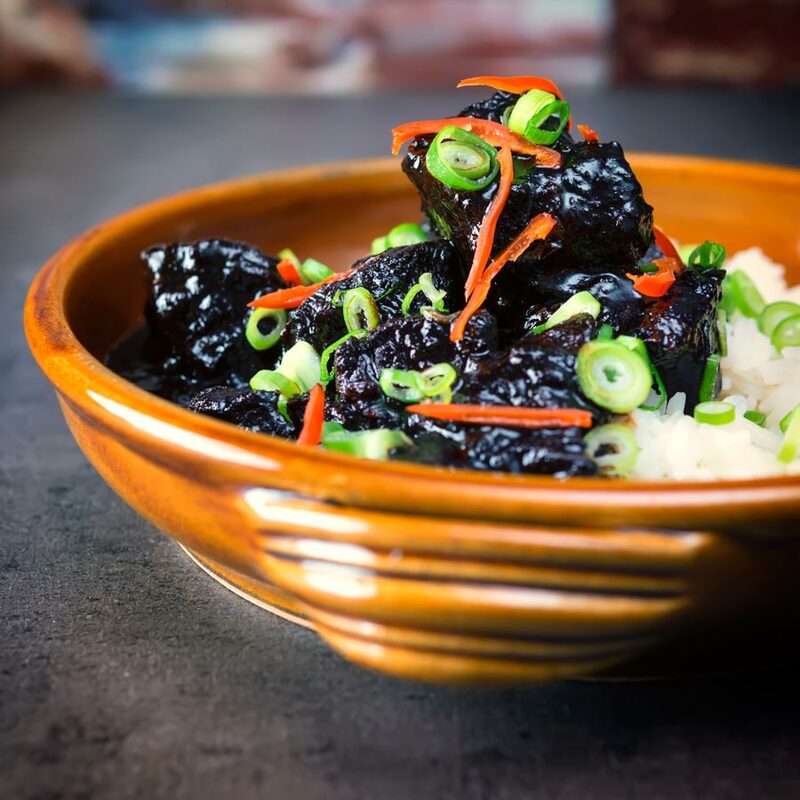 This Babi Chin recipe is essentially pork cooked in a dark soy sauce based stock. It is superb, dark, sweet, salty and all sorts of comforting. 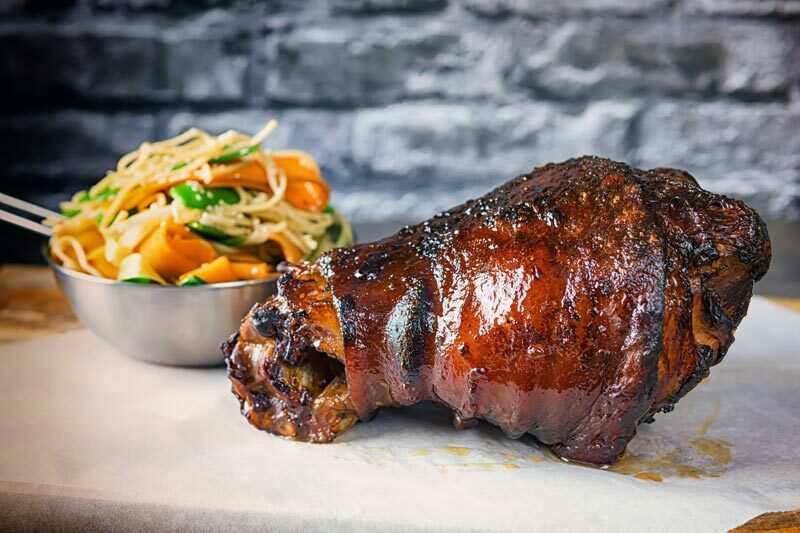 This braised Chinese ham hock recipe is really special and uses one of the many underrated cuts of meat. If you are cooking on a budget these are the cuts of meat you really need to be buying! For many years Chinese Spare Ribs were my go-to choice from the Chinese takeaway. As I grew older I became more adventurous but they still hold a special place in my nostalgic food memories! Roast pork chops are a regular occurrence in our household and these bad boys are flavoured with Harissa and mint. Then served with a glorious pearl couscous ‘salad’ that is loaded with North African flavours. Cooking on the BBQ for me rarely means a higgeldy-piggeldy collection of food. 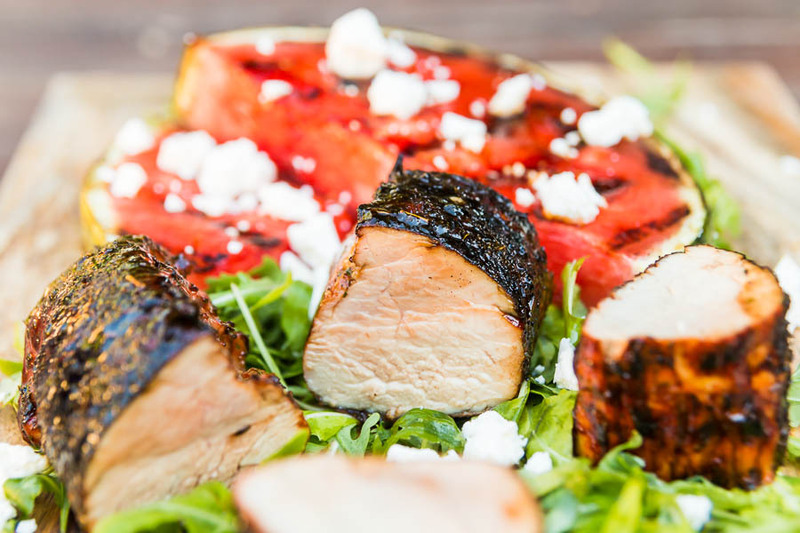 This brown sugar grilled pork tenderloin with grilled watermelon and feta cheese is designed to be a complete meal. 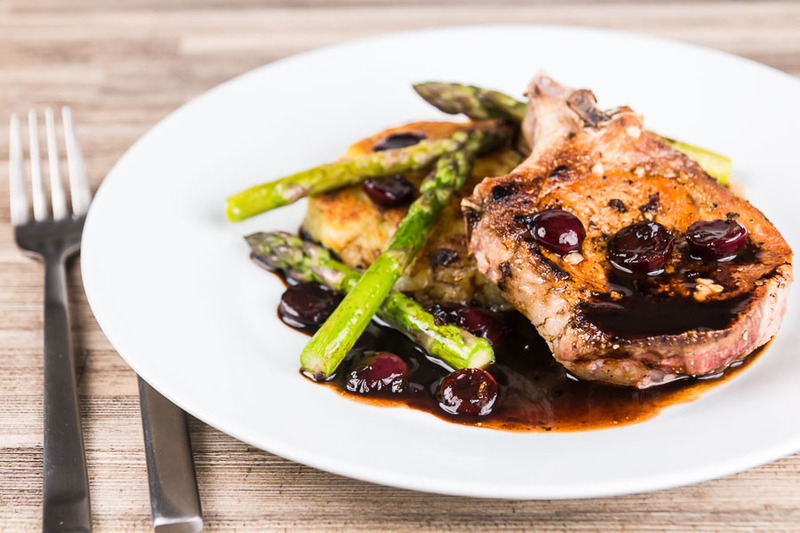 These pan fried pork chops are almost a throwback to the sort British food I grew up with. Meat and two veg, and of course one of those veg were always potatoes. As with most of my recipes here, this pork chop recipe has international leanings. 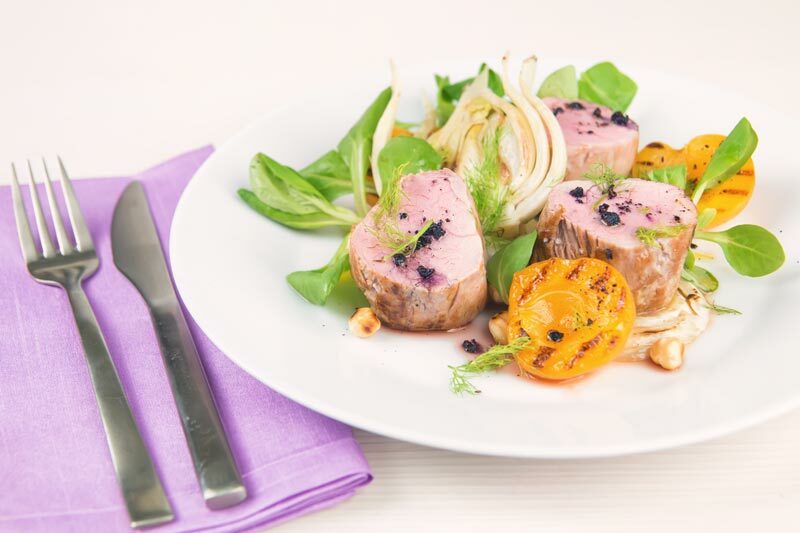 This roast pork tenderloin recipe is another in my favourite series of meals, seriously impressive flavours a real head turner. Most importantly it takes a great deal less effort than it looks! Pork tenderloin feels like the perfect meat for this time of year. 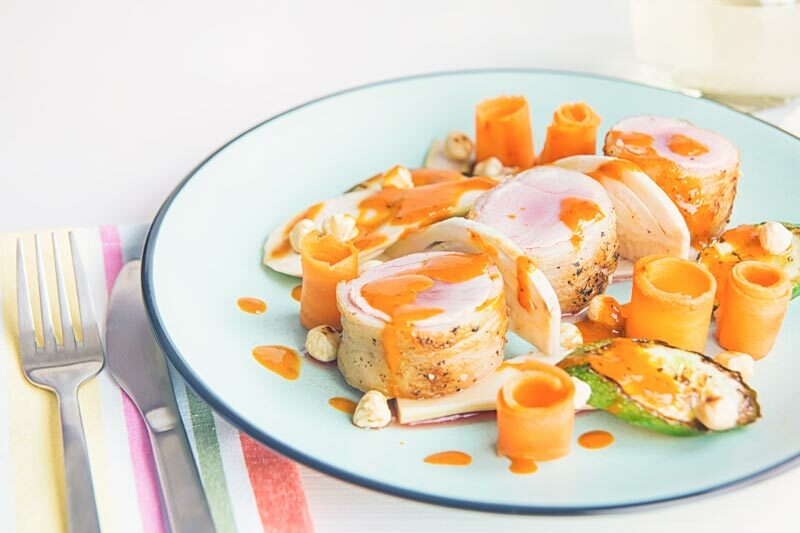 Quick to cook, light and lean and it sits perfectly alongside pickles like this pickled fennel and carrots. 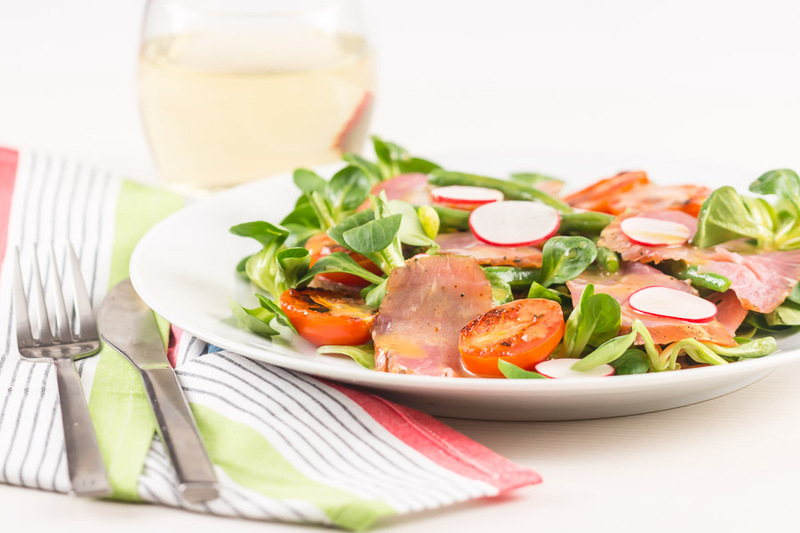 I have been using this smoked pork tenderloin as the meat element in salads for a few years. I love it, it has a smoky tinge as you would expect and the most wonderful texture. 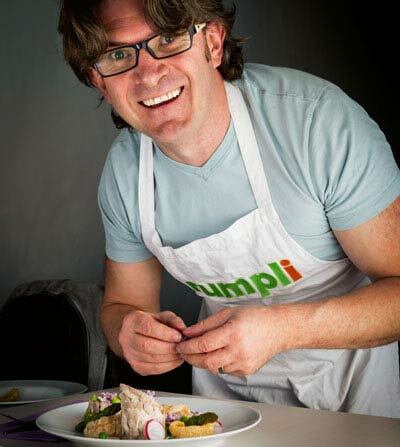 I firmly believe along with many other cooks that the cheaper and fattier cuts of meat have lots more flavour than the leaner more expensive cuts. As a result you should prepare yourself for a real flavour sensation with this Pineapple Pork Belly.